May 9th | 6:30pm | 1337 Sutter St.
From a powerful new voice on racial justice, I’m Still Here: Black Dignity in a World Made for Whiteness is an eye-opening account of growing up Black, Christian, and female in middle-class white America. What a stunning debut from a seasoned racial justice leader. Austin does double duty by fiercely affirming blackness while simultaneously unveiling and demystifying the subtle effects of white supremacy among Christians. 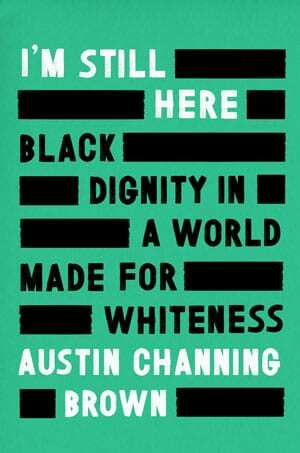 Austin Channing Brown introduces herself as a master memoirist, delivering a manifesto on racism in America that will live on shelves besides Ta-Nehisi Coates and Michelle Alexander. This book will break open hearts and minds. It’s an example of how one woman can change the world by telling the truth about her life with unflinching, relentless courage. Powerful… Brown calls on readers to live their professed ideals rather than simply state them. Austin Channing Brown began her pursuit of racial justice in college with an experience called Sankofa- a three-day bus trip exploring Black history sites throughout the South. This transformative pilgrimage inspired Austin to dedicate her life to the legacy of Black freedom. Her first book shot to the top 20 of Amazon’s bestsellers list. It has received acclaim from Kirkus, Publishers Weekly, Booklist, and a host of other reviewers. It has been featured in On Being, The Chicago Tribune, Shondaland, Popsugar, and more.